Here is #5 from the Re-ment "Mom's Kitchen" series from 2005. 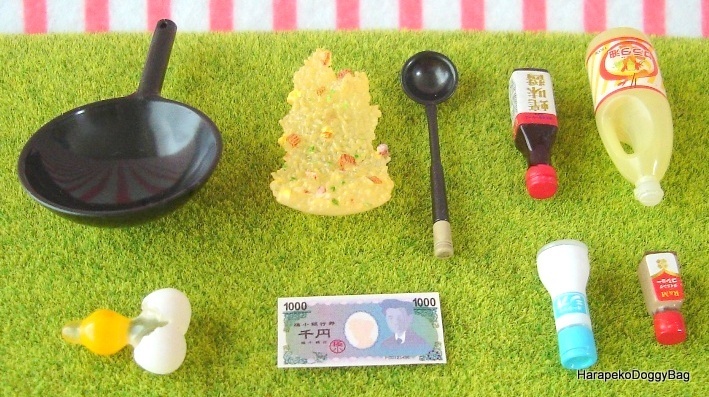 Keywords: Re-ment, Rement, Japanese Toys, Miniature, Miniatures, Dollhouse, Doll House, Puchi, Mini, Kawaii, Cute, Mom's Kitchen, Chinese Food, Cooking, Chinese Fried Rice, Wok, Frying Pan, Cooking Oil Bottle, Oyster Sauce Bottle, Pepper, Salt, Egg, 1000 Yen Note, Ladle. 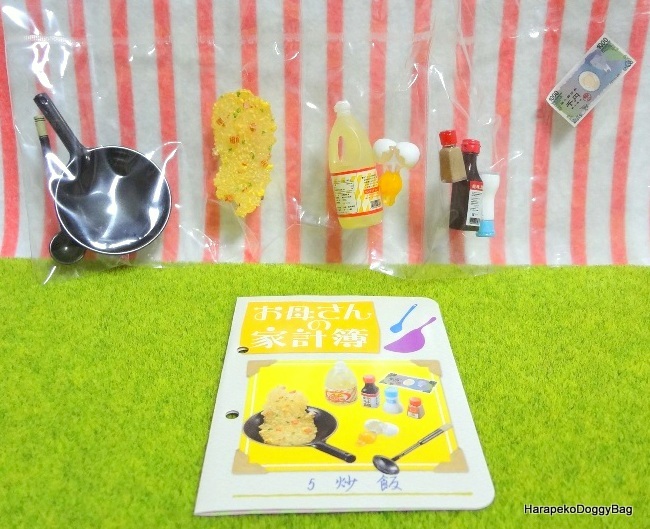 Below is a sample photo of a new set with the info card.